A point-of-purchase (POP) sign could be one of the most effective tools for your business. Designed to increase interest in a service, product, or place, POP signs are placed in a location where purchase decisions are usually made. ImageTEK Signs & Graphics’s can help you by providing POP signs that draw the most attention to your products, services, or promos. According to a Brigham Young University research study, POP displays with signs outperform those without signs by 20%. And this is exactly why getting a reliable POP signs supplier is very important. ImageTEK Signs & Graphics designs POP displays that cater to your target market and fit your budget. Whether you want wall-mounted, floor-mounted, or even signs hung from the ceiling, ImageTEK Signs & Graphics makes sure that they stay there by using only the most durable materials, quality local craftsmanship, and professional installation. Besides having a strong team of sign manufacturing experts, ImageTEK Signs & Graphics employees a skilled team of promotional display graphic designers. 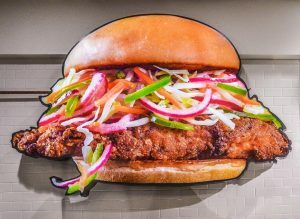 With so much talent in the team, ImageTEK Signs & Graphics is capable of turning traditional, seemingly ordinary signs into an artistic display of products and services. In the past, POP signs used to only be placed near a business’s cash register area. 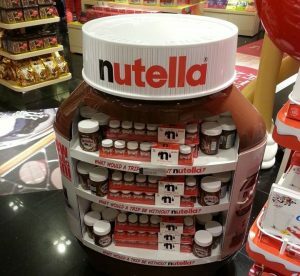 Nowadays, though, businesses have found POP signs to be effective when placed throughout their store. ImageTEK Signs & Graphics understands that in order for POP signs to be effective, they first have to catch your customers’ attention and then sustain that attention enough to direct them to your products. ImageTEK Signs & Graphics creates promotional signage of all forms, and many displays include multiple elements for maximum impact. Hanging displays, stickers, banners, posters, and even floor graphics can all add attractive, functional, and promotional elements to your products. 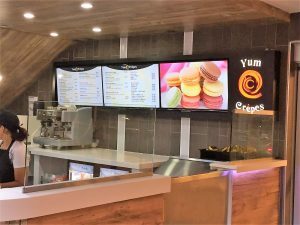 ImageTEK Signs & Graphics can help by offering you a wide variety of digital signage types that you can strategically place inside your facility. From fluorescent signs, high-intensity displays (HID), incandescent signs, LED signs, digital menu boards, or even digital navigational signage, we can keep your advertising engaging, interesting, and, of course, effective. Regardless of which form of POP signs you are looking for, ImageTEK Signs & Graphics will perfectly execute for you. 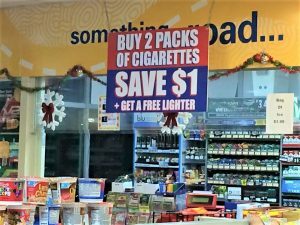 Our services range from traditional signs to digital message boards to customized free-standing displays, and even more for improving sales and driving product turnover. Do you want more customers to purchase what you’re selling? Effective point-of-purchase signs your business is definitely something you should explore. 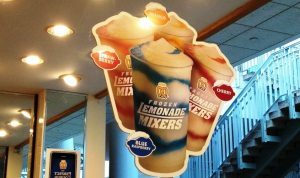 ImageTEK Signs & Graphics designs, manufactures, and installs attractive custom promotional displays that get your brand, product, and business noticed. Call ImageTEK Signs & Graphics today at (201) 351-8755 for your Free Consultation with a POP Sign Expert!